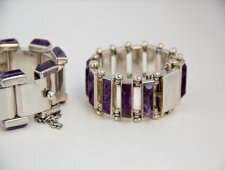 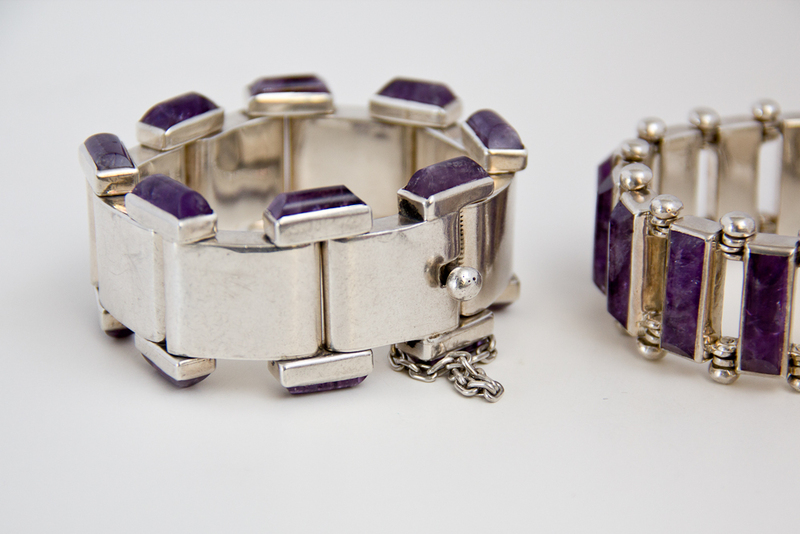 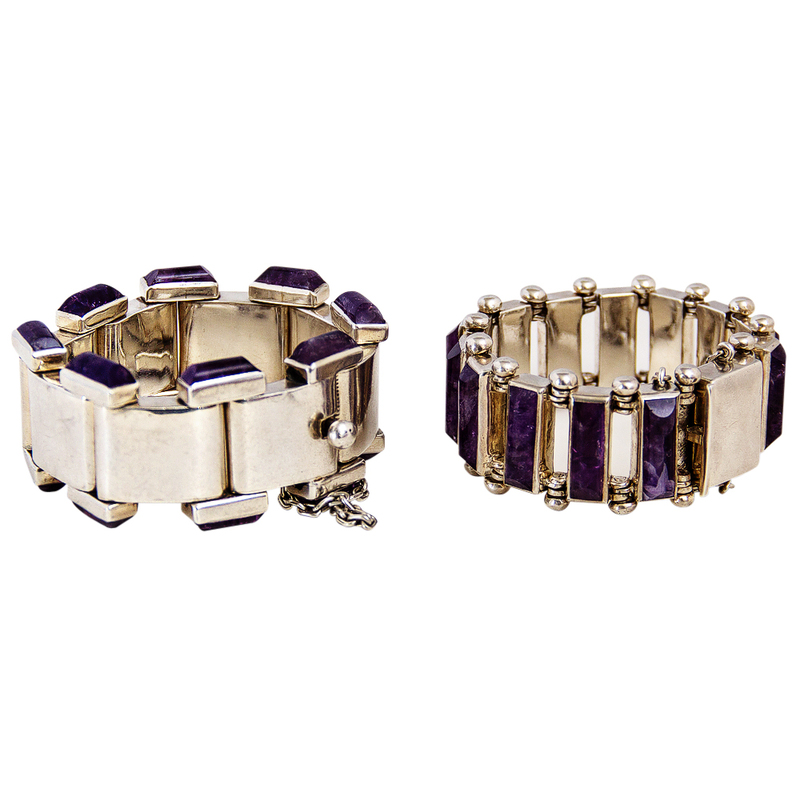 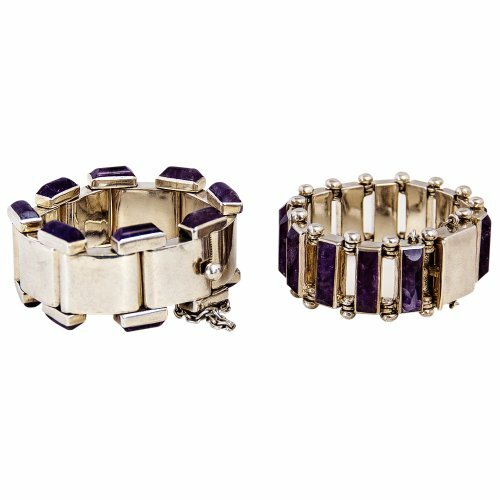 1950s Sterling Silver and Amethyst Bracelets by Antonio. 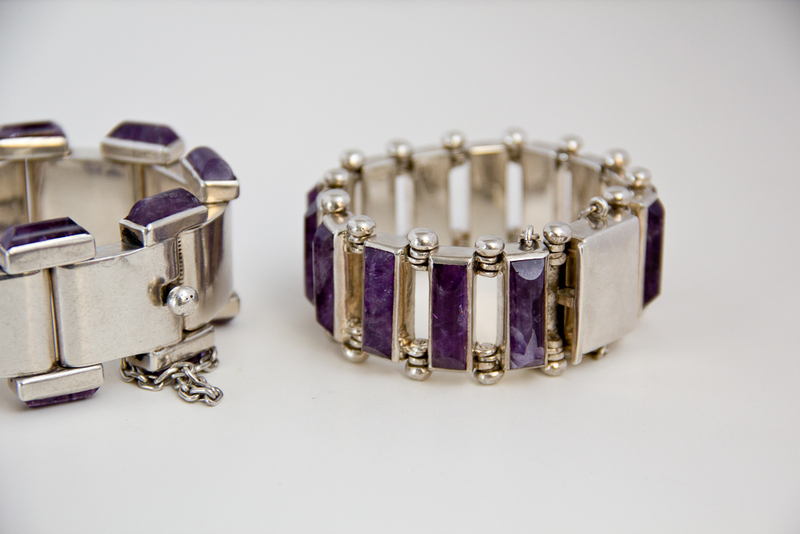 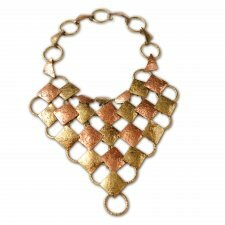 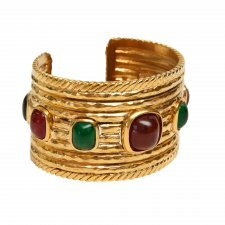 Strong architecturally designed, both bracelets are sold separately. 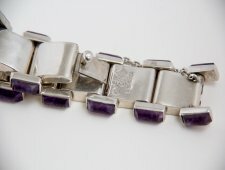 The bracelet with silver bars, capped with Amethyst measures 7 3/4 inches x 1 1/4 inches and is priced 4500. 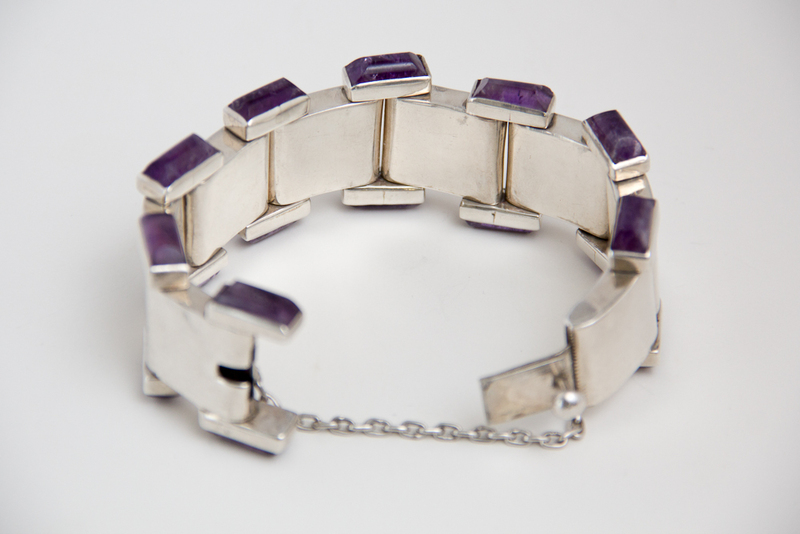 The bracelet with bars of Amethyst measures 7 inches x 1.25 inches and is priced 3950. The Bracelet with Amethyst bars, was sold. 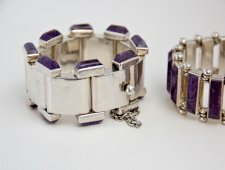 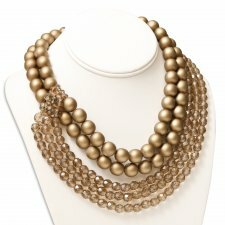 So only the Bracelet with amethyst caps is still available. 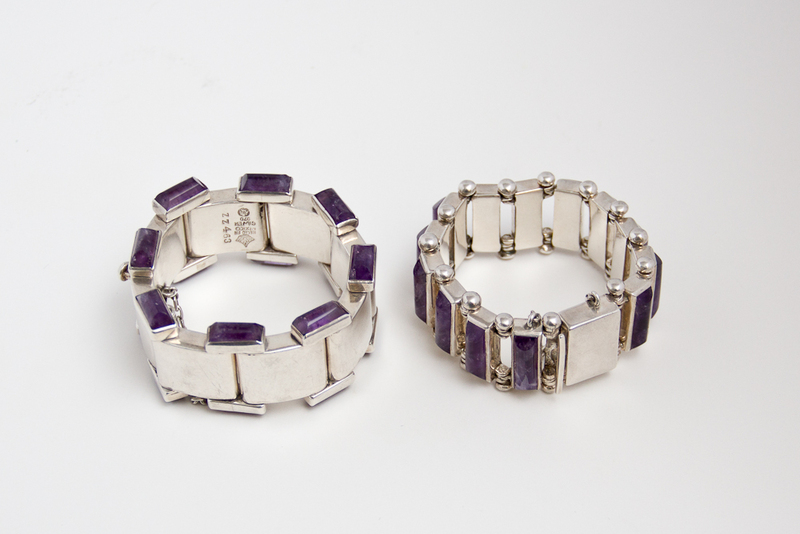 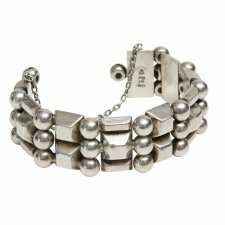 Geometric link bracelets by Mexican modernist designer, Antonio Pineda 1919 to 2009, The bracelets are made of sterling silver links with Amethyst stones. 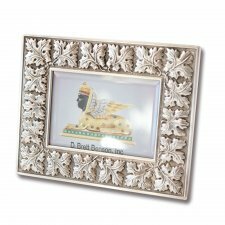 The bracelets are hallmarked with the Antonio crown mark, 970 silver mark and the eagle 17, the government assay mark.